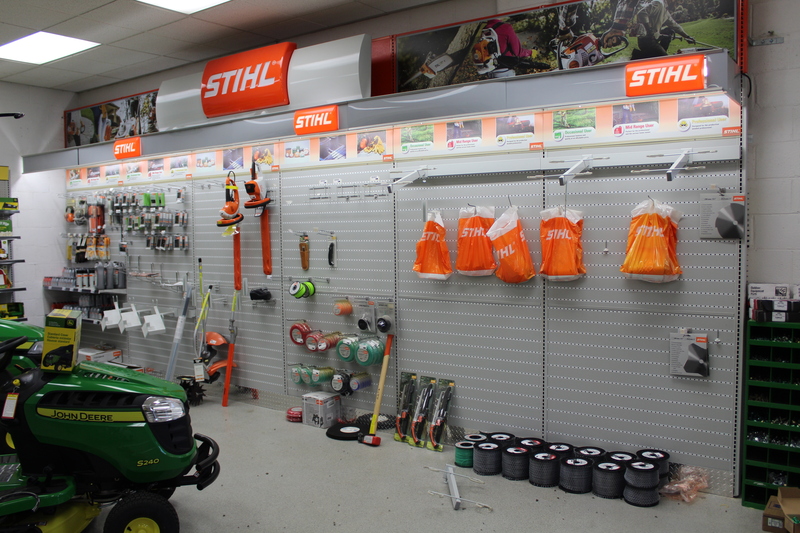 ST. GEORGE — Thousands of dollars’ worth of tools were stolen from Stotz Equipment Monday night when a burglar or burglars broke in through the glass doors of the building and took almost all of the Stihl equipment from the shelves. 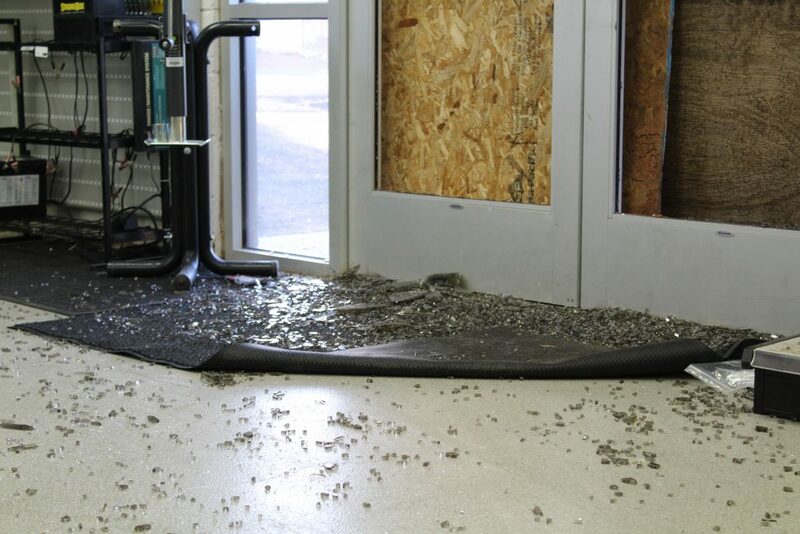 Brad Norman, a salesman at the company, said he received a call from the alarm company at 10:08 p.m. Monday saying that a window had been broken in their laundry room, which the company does not have. 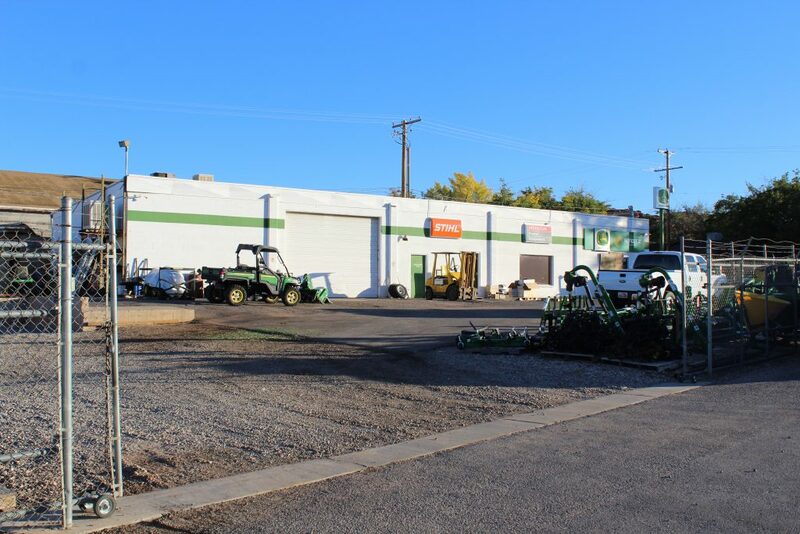 Norman was about five minutes away from Stotz Equipment when he received the call and rushed over to find the bottom gate to their parking lot half open. Norman said all but two of their Stihl power tools were taken, including weed eaters, chainsaws, trimmers, leaf blowers, pressure washers and generators, all worth an estimated total of $15,000. The burglar or burglars did not take anything from the cash drawer, and left only two weed eaters outside of the broken glass doors. “They broke out the front windows, they didn’t unlock the doors, they passed everything through the broken window area,” Norman said. Norman said the burglar or burglars must have worked fast. The alarm first went off at 10:06 p.m. and Norman arrived at the store around 10:15 after receiving the call at 10:08. “The alarm chirps for a while to give us a chance to get in and shut it off, so they probably had a few minutes before the alarm went off,” Norman said. The store does not have any security cameras located inside or outside of the building. 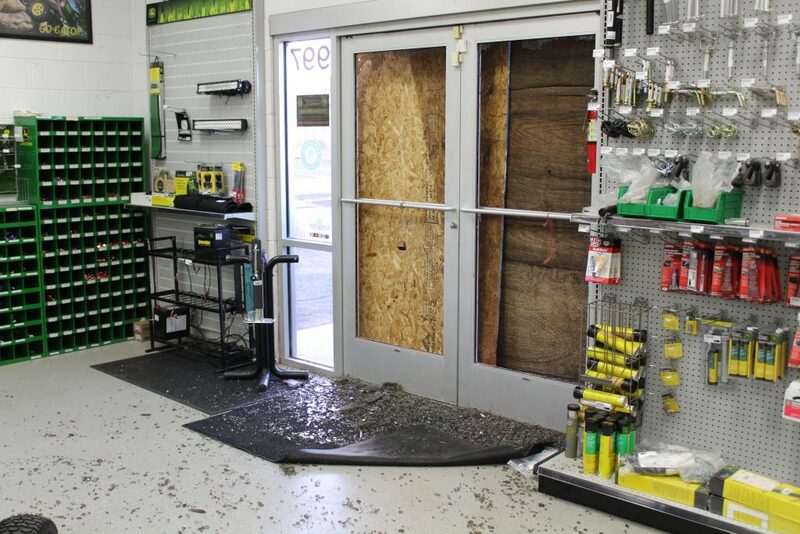 Police are working to assign a detective to the case and locate any surveillance footage from neighboring businesses but so far have no leads or suspects, St. George Police officer Tiffany Atkin said. 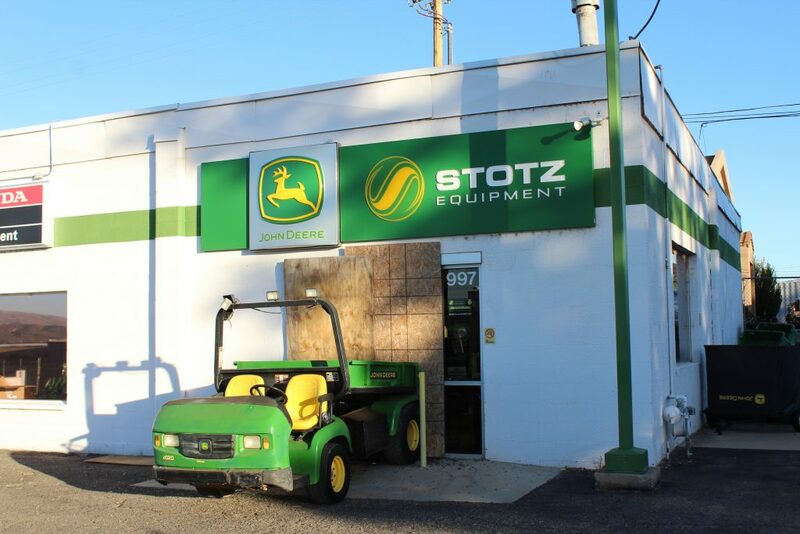 Stotz Equipment will be open during during the store’s regular business hours today. You may think it’s hard to put a chainsaw up your nose, but rest assured those thieves will do it by this weekend. They were probably drunk. Like I am right now. It’s the only way to get through an Election Day when all the liberals are on my TV talking about a blue wave. How about a red wave? Welcome to the new normal, st george. Hope it was worth it. They were open for business? 2 weedeaters for sale? I wonder if it was that crew that hit the Cedar City store a while back? Why did they remodel the place and not put up s3curity cameras? I have security cameras on my house afte4 a drunk driver plowed thru my front yard. People even drive by many yards and steal stuff to get drug money..